A recent study found that well over half of Americans have tried marijuana. While in the past, marijuana was mainly heralded as a recreational drug, these days, scientists, medical professionals, and those dealing with illness or chronic pain have moved beyond the benefits of the marijuana psychoactive high alone. Now, understanding how marijuana works can help those interested in entering into the cannabis business — or those who want to use it — help to reduce the stigma surrounding its use. So, what exactly is the science of cannabis, and how can you use it for good? Keep on reading this post to find out. We’ll tell you everything that you need to know about how marijuana works. Before we get into the benefits of marijuana, let’s first make sure that you understand exactly how marijuana works — especially if you want into get into the marijuana business. Did you know that the cannabis plant actually has over 500 natural and safe chemicals inside of it? These chemicals travel throughout the bloodstream through your body and your brain when you eat a pot brownie or gummies, as well as when you smoke or vape marijuana. Now, let’s take a look at two of the most important and well-known elements in marijuana: THC and CBD. THC is likely the most famous chemical in marijuana, a chemical known as a cannabinoid. THC is what’s responsible for creating that “high” feeling. THC hits your lungs when you smoke it, connecting with the alveoli air sacs, which quickly absorb it. That’s why you’ll often see a much faster effect when you smoke marijuana, as opposed to when you try edibles. Terpenes are also responsible for the intensity and flavor of your strain. It might help to think of terpenes as the “essential oils” or “herbs and spices” of the marijuana plant. In many cases, the level of terpenes that you look for in a strain comes down to nothing more than a matter of personal preference. When in doubt, ask a budtender to make a few suggestions. Especially if you keep your finger on the pulse of news related to the science of cannabis, you’ve probably heard all about CBD. This cannabinoid is may even be responsible for the licensed medical marijuana business that exist today. Medical Marijuana started to become more credible once it was proven that types of child seizures could be controlled using CBD. 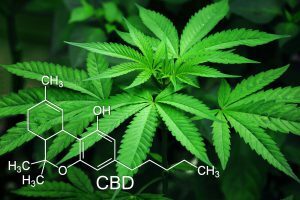 CBD oils are becoming an increasingly popular marijuana product, as they allow users to experience the positive health benefits of marijuana without the THC-provided high. But what is CBD, and how does it work? Your body naturally contains endocannabinoids. This is what actually manages the ways in which your body responds to pain. When you inhale or ingest cannabis, the cannabinoids from the marijuana directly interact with your natural endocannabinoid system within your body. This is what makes marijuana such an effective way to manage pain. Many people believe it may also be able to help those with epilepsy, arthritis, inflammation, and even Parkinson’s disease to better handle their symptoms. So, what else can marijuana do? While it’s important to understand that a marijuana high can’t actually prevent or stop illnesses to our knowledge, it’s an incredibly effective tool to help those in mental and physical pain better manage their symptoms. That is what medical cannabis has become best known for – managing your symptoms of an illness. So, now that you understand how marijuana works, let’s talk about a few of the many things it can help to manage. First of all, marijuana has been shown to help those who struggle to fall asleep at night stay asleep for longer and improve the overall quality of their sleep. CBD is especially effective in assisting those that deal with racing thoughts and anxiety late at night to clear their minds. There are also other cannabinoids, such as CBN, that you should ask your dispensary agent about. These cannabinoids make it easier for you to fall asleep. THC also helps those with insomnia, though not to the same level as CBD and CBN. Medical Marijuana and even CBD oil has been getting a lot of press recently thanks to its ability to work as an effective pain management tool. If you or someone you know suffers from chronic pain, deals with aches and strains because of a medical condition, or just has stiff muscles and joints, medical cannabis or even just CBD may be an option. The CBD found in medical marijuana is the best option, it is a safe but no less effective alternative to the often addiction prescription pain medication that many people feel nervous about taking. As we mentioned earlier, this is due to the cannabinoids’ in marijuana ability to latch onto and strengthen your body’s natural endocannabinoid system. However, you will need to a medical marijuana card to purchase this, if you do not live in a state where adult-use marijuana is legal. Another option is the CBD Oil you see sold outside of medical marijuana dispensaries, while less effective than medical marijuana CBD Oil, this oil comes from Hemp and can still provide the relief needed, just to a lesser degree. We hope that this post has helped you to better understand the science of marijuana, and how marijuana works. Now that you know the difference between THC and CBD, as well as the way marijuana can improve the lives and comfort levels of so many people, perhaps you’re now even more interested in getting into the business yourself! We want to help you to understand how to break into the business of marijuana! 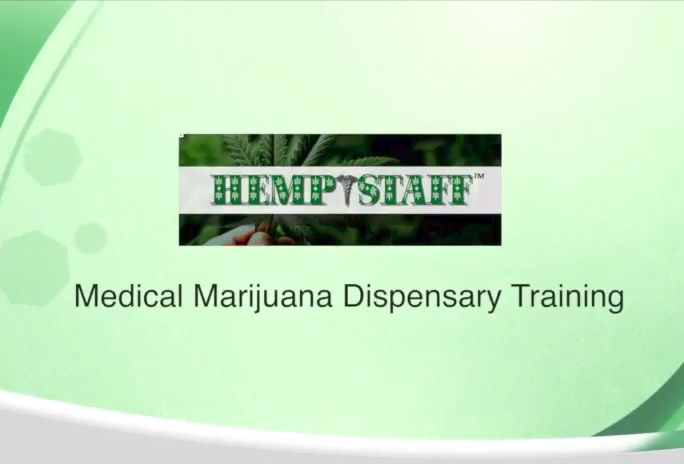 As one of the most well-known marijuana staffing agencies in the country, we help to provide the right training and expertise to countless marijuana business owners across the globe. Register with us to get emails about our dispensary training dates and job openings in your area!